From Bioworld. 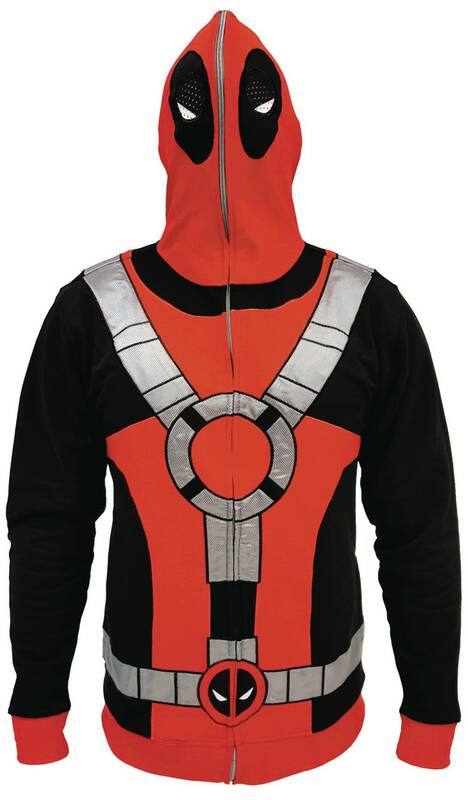 You'll be a real character when you zip into this Deadpool themed hoodie that resembles the mercenary's uniform. 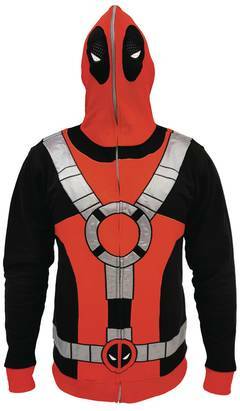 this fully lined hoodie zips all the way up to keep your secret identity safe.. There is a two piece limit on all stock Funko Pops. Thanks! The warehouse is not open to the public for shopping, but anything you order from this site can be transferred to the retail shop on Center Street Promenade for pickup. Copyright © 2019 Pop Comics Warehouse Ltd.